Welcome to this week's edition of Frugal Friday! First, Burlap and Lace shared a perfect IKEA hack. 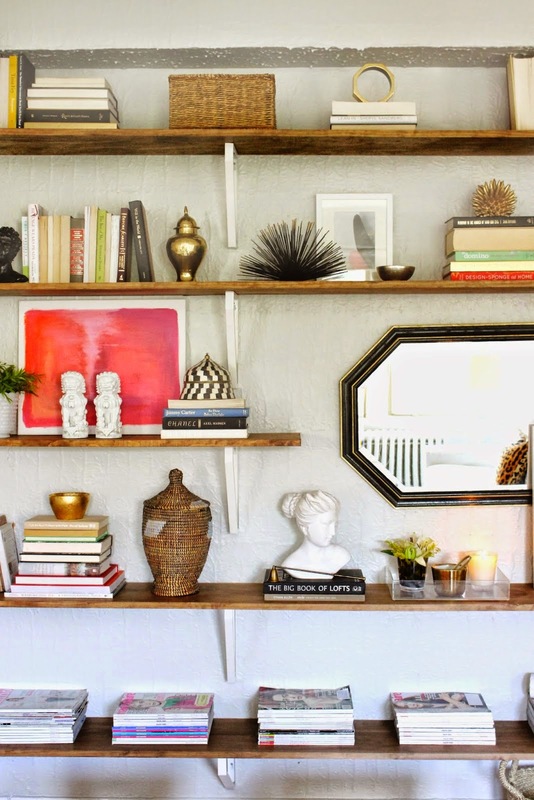 I'm loving these wall shelves created using IKEA brackets and boards. That's it and they look incredible! 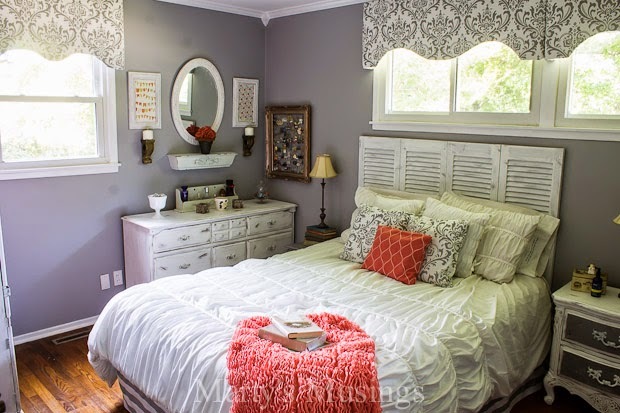 You simply wont believe the before and after of this pretty gray and coral bedroom shared by Marty's Musings. It's a jaw dropper, so make sure and check it out! 1. Please link directly to your post and not just to your blog. Please refrain from linking posts for Etsy shops, giveaways, reviews or features of other bloggers' work. Please only link posts of your own projects. 2. Please link back the Shabby Nest. I only feature projects in my Frugal Round-up that link back to The Shabby Nest. I have passed up some great features because they didn't link back..so please use common courtesy and return the link! MWAH!! 3. Please visit other participants and leave them comments! Help them feel "the love!" Thanks for hosting Wendy! Hope you have a great weekend. - K.
Thanks for another great party! !Love this weeks features. I hope you like our Upcycled Coffee Jar Favors. Really lovely features this week. I hope you have a fabulous weekend, and thanks for posting.